Three levels of engine builds to suit your budget and driving needs. ADS teams up with one of the great names in racing to produce bullet-proof engines. Internal and external leaks, defective OEM gaskets, we deliver a permanent fix. Find out how your cooling system works, and what happens when it goes wrong. Our closed decking has been designed and engineered to allow maximum upper bore strength for high power applications. ADS make and fit engines, at Peakhurst or one of our many authorised fitting stations. 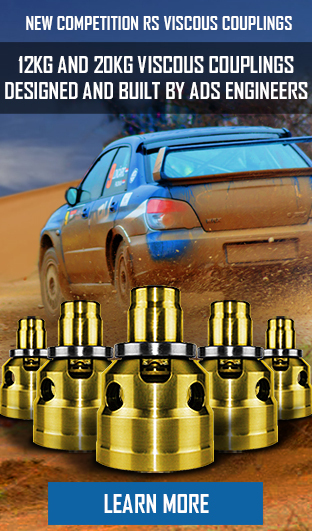 Learn about Subaru Engine Australia, the team, the history, the philosophy. All the models, the problems, the fixes. Learn about our four build levels. How the viscous coupling works, what goes wrong, repair options & parts. Largest independent new and used parts supplier, best prices, fast freight..
TNT logistics and nationwide approved fitting stations mean fast service. Meet the team, and read out about our history and accomplishments. Subarus are unique vehicles in many ways; with symmetrical AWD systems, boxer engines, and many high-performance turbo models, these cars are in a class of their own. The weight balance, and symmetrical drive system make them very enjoyable to drive, and very safe, whether you use them to take the kids to school, or engage in spirited motorsport applications. 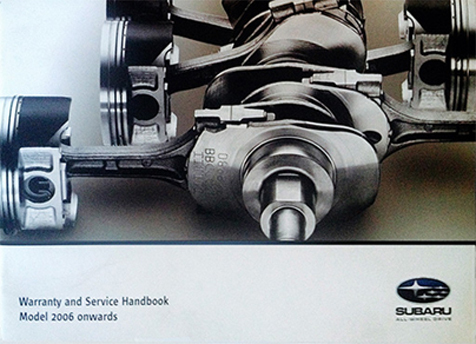 This uniqueness has brought Subaru a loyal base of repeat customers, but it has also brought a set of service procedures that many general mechanics do not encounter in their daily work. All Drive Subaroo has a team of factory trained specialist Subaru techs and hand-picked apprentices, with a ratio of five to one trained techs to apprentices. This allows us to provide the best training in the industry, and the best service. Each of our fully qualified techs has been specialist trained in different Subaru systems. This means that when it comes to repairs, diagnosis is quick and accurate and the job is done efficiently with no delays or surprises. There are many reasons why Log Book servicing is the best plan for a long term owner: Because vital consumables, such as belts and hoses and tyres, are kept in good condition, you will get reliable relaxed motoring; Because your engine is kept topped up with clean oil and the upper cylinders are regularly de-coked, you will get greater fuel efficiency; Because the Subaru log book schedule is well planned, you won't be paying for over-servicing; Because brakes and steering are properly maintained your vehicle will always be safe to drive;. Finally, when the time comes to sell, you will get a higher price and your car will be easier to sell. Many general mechanics are not aware of the different servicing requirements for turbo Subaru models, such as Liberty GT, Impreza WRX, Forester GT, and Impreza STi and diesel models, and we field many industry questions on the different requirements for these models. Turbo petrol engines are subjected to higher stresses and temperatures than normally aspirated engines and high-compression diesel engines have their own unique needs. 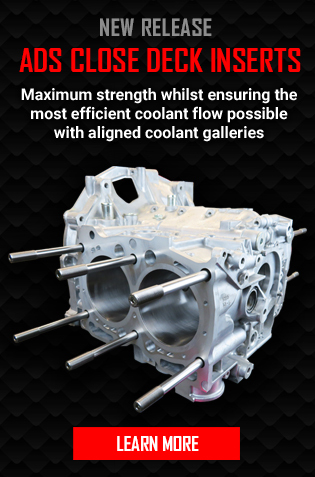 making coolants and lubricants especially critical for both these engine types. Currently there are six different recommended engine oils, five different gearbox and diff oils, and fifteen different Subaru models with differing requirements. The introduction of the EE20 diesel engine has also produced many new service and repair complexities with very strict fuel and oil specifications. The new generation FA20 and FADIT and FB25 petrol engines all require 0W20 oil. There's a lot to keep track of, and only a specialist Subaru workshop is abreast of all the variations. Note that mistakes made in selecting lubricants can drastically shorten the life of your engine or transmission. See our oil and lubricant recommendations page. 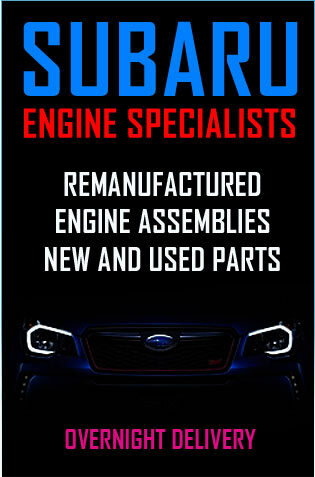 If your Subaru is still under factory warranty All Drive Subaroo log book servicing preserves that warranty. As a matter of consumer law, customers have a right to choose their own service center without affecting their new car warranty as long as the service is performed by a qualified technician, in accordance with the manufacturer's specifications, and using genuine or appropriate quality parts where required. Provided these conditions are met, regardless of where you choose to get your car serviced, your warranty will remain intact. All Drive Subaroo keeps up to date with all Subaru technical bulletins and we have all the correct equipment to perform all aspects of Subaru service and maintenance. We meet all manufacturer's new car warranty conditions. Warning: new car warranty may be voided if service is carried out by unqualified technicians, or if incorrect parts are used, or if servicing is neglected. Your new-car warranty depends on following the prescribed Log Book servicing schedule. Subaru's logbook schedule remained in place unchanged across all models for many years. Subaru owners knew and trusted the system. Subaru techs were factory trained in this system. Virtually everyone accepted the need, for example to change the timing belt at 100,000 kilometres. Unfortunately Subaru's competitors, like Mazda, Toyota, Hyundai, were introducing new service schedules that called for major service items like the timing belt to be done much later. 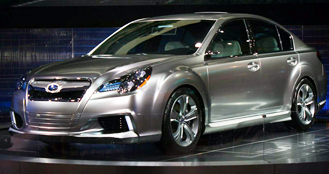 This made Subaru uncompetitive in terms of overall service costs, so Subaru followed suit. When Subaru introduced their new service schedule in 2005, with timing belt being changed at 125,000 kilometres, there was some consternation among Subaru owners, and a bit of confusion among Subaru techs. Was it really safe to leave the timing belt another 25,000 kilometres? Of course, some things remained unchanged: All models still require fuel additive and engine cleaner at the same intervals. The Subaru check list stayed the same. Many new oils were introduced for FB engines and more again with the CVT that comes with lifetime lubrication. The Subaru Log Book schedule remained unchanged for many years from 1991 to 2005, with a 1 to 4 service schedule at 12,500 kilometre intervals to 50,000, then repeating until 100,000. This covered all Subaru models up to that time. The system is simple and easy to follow. Subaru owners in general thought it provided them the correct level of service. Service interval one is a minor service, with inspection. Interval two is a minor service also, with spark plugs renewed. Interval three at 50,000 or 24 months is a more detailed service with all fluids replaced. After intervals 1-3 are repeated comes a major service at Interval four at 100,000 or 48 months. This includes replacing all fluids and the timing belt. The log book does not recommend changing the timing belt tensioner or bearing at this time, but calls for inspection and report on these items. Subaru replacement air conditioner compressors or evaporator kits can be installed to most Subaru models within one (1) day at our Subaru workshop in Peakhurst. We can provide loan vehicles for your convenience. A complimentary car wash is included after a comprehensive Subaru quality inspection, conducted by a senior Subaru mechanic before you collect your Subaru vehicle. Check out our service packages. For further information use our convenient online enquiry form, and one of our specialised technician will call you to discuss your enquiry. Remember, the more specific details you can provide, the more accurate our assessment will be. Alternatively, call us any time in business hours and talk to Niazi on (02) 9915-9900 or 0420 319 049. If you're good with tools and want to replace the Subaru air compressor or evaporator kit yourself then we can supply you with all the necessary Subaru air conditioning parts, compressors, TX valves, evaporators and hoses. 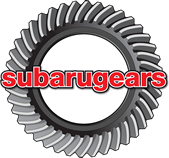 Our Subaru parts online website also offers a comprehensive range of new, pre-loved and reconditioned Subaru parts sourced locally and internationally. Our skilled technical staff will match you to the best part, at the best price. 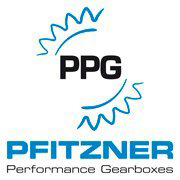 We will also provide technical advice and assistance in the installation of your parts.